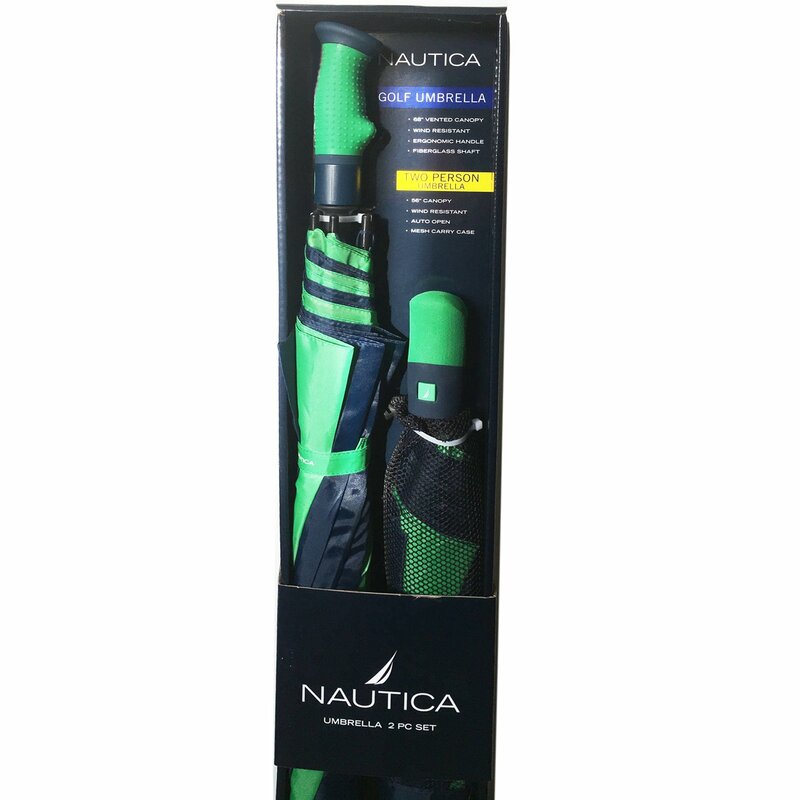 - Nautica Bright Blue/Green Umbrella Set. Price is for one set of two umbrellas. - PACKAGE INCLUDED: Two Umbrellas, One Carrying Bag and 2 Biker 100% Cotton Skull Cap Head Wrap Assorted Color.